So Welcome! Friend into my very own Space in the E-World! Before I sign off – Important to note that every word that is written is verbal reproduction of “my” thoughts & opinions – Nothing whatsoever in my virtual space is purported or intended to be representing any other organization or entity or individuals. Gud.. Hope you see my outstretched hand…Gud Luck. Super sir! This revamped look is really good. I was senior volunteer with iac mumbai from day 1 to aug 2 2012. Quit the day they got political. Agree with a lot of your views on ak. Well done and my very best wishes. Amazing intro of an extro, keep going, all the best. Gud One………Pathar Jawab ICE-Cream Se Gud1 Sir……. Suresh please spell breathe (eat..). I smiled at your abilities and honesty reading every “Intel word. 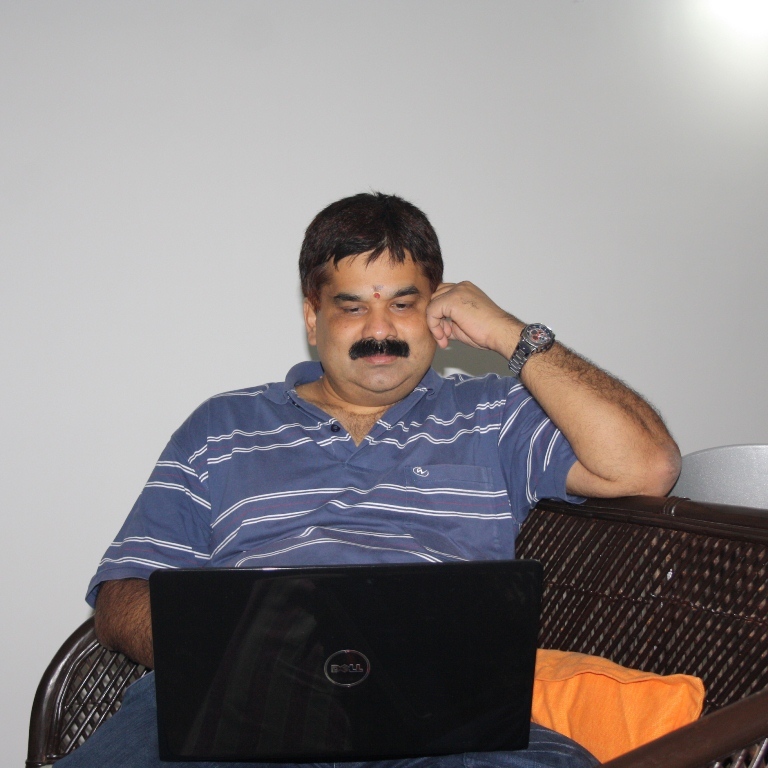 Thanks for your good work on twitter for supporting NaMo…. Especially 23 years of marriage n even more years of Congress rule 😂😂😂. Tch tch. Heard ur saviour srivastava filing cases in courts trying to quash the police case to be filed against you ? And also heard that this too has been thrown out by the hon court ? Tch tch. Jelly belly… terakya hoga. Btw do you what ” your IT officers ” told the investigating police ? That someone might have hacked into out system to leak confidential govt documents? Ouch! So they have abandoned you Aslam bhai ? And hey you may try hard but the you cant stop FIR son. You are so gone ! Awwww now I love that look on your face right now. Btw … ds ur family know about the filthy twitter handles story ? Do they? ….bhaiyyaji smile!!!!! Justice will served . You cannot target women and expect nothing shall happen to you. You cannot target people on lies and expect that your filthy campaigns will not be held accountable. Did srivastava not tell you about the CVC jugdement ? Did he not point the difference between assessing and processing ? Dont wanna file case in court against 5000 crore scam ? Now … just wait mr. You have no idea whats gonna happen …. and very soon. You have been asking a lot of questions and running a filth campaign on twitter . But Today I am presenting these facts in light of the big whammy about to hit you( A REAL BIG ONE) and destroy the fragility of your peaceful existence that feeds on running dirty campaigns against other people. Fcat number 1: Mr prakash Chandra , Commissioner had in an official letter clearly stated that the lady officer will not be assessing the NDTV case( Srivastava has this letter) Still you targetted the woman and her family with filt. Did Srivastava tell you about this letter? NO! Fact number 2: The stupid RTI that you have been flashing as definitive proof clearly says that she was the processing officer and NOT the assessing officer. Still you targetted her. It clearly says that Hemant Sarangi assessed it. Still you raised filth about her and her family? Do you understand English? Or are you so full of hate and filth that you target people in spite of proof to the contrary? Fact number 3: Now this is a CVC order, details of which are available with Srivastava . Did he tell you that there is a CVC order that has investigated the entire case and shut it down as bogus? The entire 1.46 lakhs rubbish that you have writing about raising filth on twitter? Since you and your separated at boirth brother Srivastava are experts in “LEAKING confidential government documents , why dont you ask him? I am sure he will provide you that document which is the definitive proof that there was no wrong doing. In fact if your provide me a valid e mail address ( difficult for spamsters ) I could forward you that judgement. FACT: First of all , the fact that an assessing order was leaked to you is definitive proof of wring doing behind the entire act. The purpose was to yet again malign the subject. Secondly, if you say that the subject evaded tax on certain grounds, dont you issue a show cause notice? But no ….Senapati and Swani issued tax evasions on the ESOPS by NDTV without issuing notice to the subject. There are two issues here . First . Fringe benefit tax does not apply on the first two years . So how can the subject evade tax? Secondly, the subject hasnt encashed a single ESOP. So how can he committ any tax fraud? Thirdly, the value of the NDTV stock then was 500 rupees , today it is barely 80 ruppes. So how did the thugs calculate 60 – 70 laks of tax evasion? Now in the light of the above factors, you need to tell me Jelly belly why did you leak the government documents and on whose behest? Why are you ready to endanger your reputation by going to jail for targetting honets women offiecrs and professionals without a single shred of evidence? Why? Why are you full of so much hate and filth? And BTW! I will not allow you to mount your defense here 🙂 And this defense will come back hard. Did you notice you gave away something BIG… Leaf…Fig…Shake, Vaango Vaango…. Hello Pig…. five years gone ..wanna apologize ? Cause when this Govt goes the police case will be revived again! What say ? U shameless moron…u targetted my family. Its been five years and u could not do anything…apologize..shame on u . May u suffer and may ur family watch u suffering. These is a dark space in hell for filth like u ..who target innocent pwople. Awwwww. Poor Belly Bobo …What a fall! From open threats to not even accepting comments ! But first answer me na ..why did you shut the comments on that blog? And belly bobo is so tense that Ignitor becomes Ingitor! ROFL. The PMO thing has gone phusssss….In fact gonna be majorly counter productive for you . Shoot and scoot aint working , Your Kejriwal stunts not working yensures! Belly bobo…. rofl… good one. How sad that you have been quoting a chargesheeted officer to say that 1.46 crore refund was illegal. Rajnish Kumar…check the undersigned…rings any bells? Now check this…The man is chargesheeted in FODDER SCAM…..hahahaha. You have been using fodder scam accused to defend srivastava and attack women and honest people? i JUST LOVE THE HYPOCRISY IN FILTHY PEOPLE LIKE THE ONES WHO HAVE BEEN TARGETING WOMEN …YOU USE A FODDER SCAM CHARGESHEETED TO FURTHER YOU DIABOLICAL CAUSE? CAN YOU STOOP ANY LOWER? The man is chargesheeted in FODDER SCAM…..hahahaha. You have been using fodder scam accused to defend srivastava and attack women and honest people? YOU USE A FODDER SCAM CHARGESHEETED TO FURTHER YOU DIABOLICAL CAUSE? CAN YOU STOOP ANY LOWER? May the Lord Sree Srinivasa ever fill your heart with his divine presence,purity ,love and bliss. May the Lord bring you all greater stregnth and more light and help to realise the truth. In it only lies real peace..
wow! Kudos for your scintillating introduction as techno freak! Your blog is immensely fascinating & speaks your discerning passion for words! Hahaha. Some burnol for Gobaron baby.. Hahahaha. Seriously ask Gurumurthy.. Why is pigvastava boasting about hia contribution to crapmurthys daughters wedding? And why are u not filing a case in court and let some anti nationals gets away? Or is having too much rasam papad having a toll on ur jelly belly? Spending too much time in the loo? Guess what? Fartnell.. CBI has shut the case against us.. Hahahahaha. Gurumurthys interventions all thrown in the dustbin.. Now after I send srivastava to jail.. I will concentrate on the police case involving violation of officials secrets act by you… Its gonna be fun. Just wait.